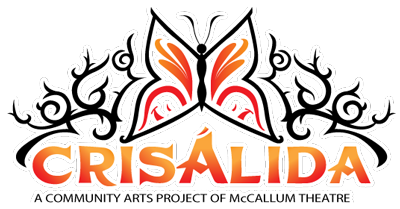 Crisálida: Community Arts Project | Crisalida Is On The Move! Crisalida Is On The Move! 16 Jul Crisalida Is On The Move! The big theme this week is Live Mariachi Music. Paul Lomeli’s Mariachi group will be providing the ambience for most of our coming events. Thursday is a big day. Crisalida will be at the Galilee Center in Mecca providing Live Mariachi music from 3:30-4:30 right before the food distribution. That evening our own Maria Galaviz will begin a new poetry workshop in Spanish in Indio at the Coachella Valley Art Center which will run from 5:00-8:00 pm. The Crisalida Art Van will soon be visiting the Indio Senior Center and also Martha’s Village in Indio. I had the honor of meeting Felicitas Lugo of ISC and Elena Rosenthal of Martha’s Village. Plans are set for Crisalida to be at the Senior Center July 30th to celebrate all July birthdays. We will be providing Live Mariachi music for this event. Plans are also in the works for Crisalida to come to Martha’s Village, provide Live Mariachi music, and set up the Art Van for the residents and visitors to enjoy. We were received with much enthusiasm and we hope to incorporate other events as well at both locations. We hope this is just the beginning of another East Valley collaborative effort. Thank you for all the likes on Facebook and for being a part of a growing East Valley movement.